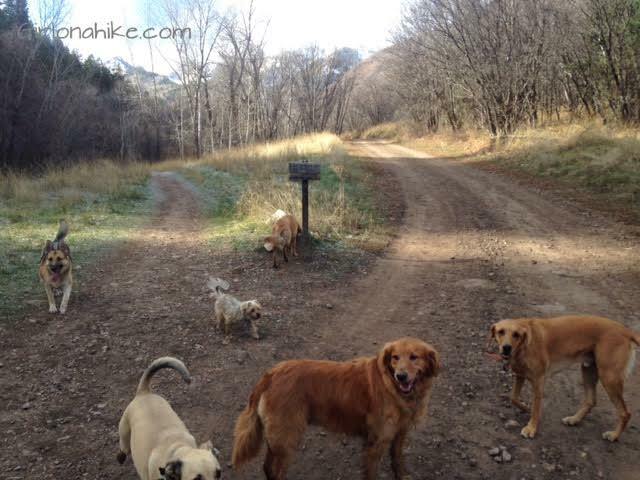 Hiking in Utah - With our Dogs! is a Meetup group of over 1400 members & we are still growing. 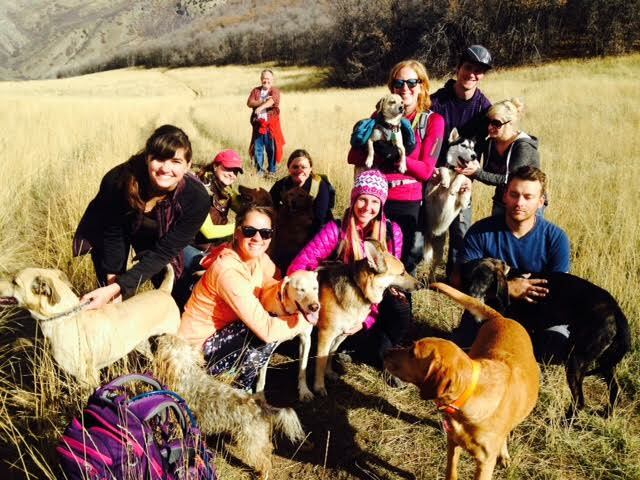 We hike year-round with our dogs, all over the Wasatch & Uinta Mountains, and find trails that the dogs can be off leash on. December & January are our slowest months due to the Holidays, but the rest of the year we currently hike every Tuesday evening at 6:15pm and on some weekends. 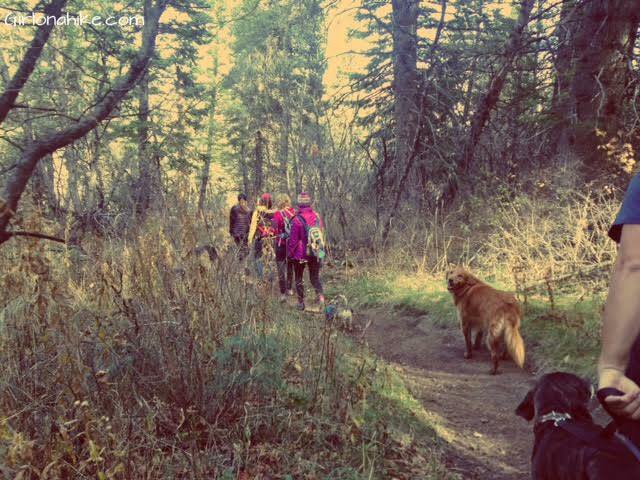 Our group is free to join and kids are welcome when the trail is safe for them to attend. Click here to join! 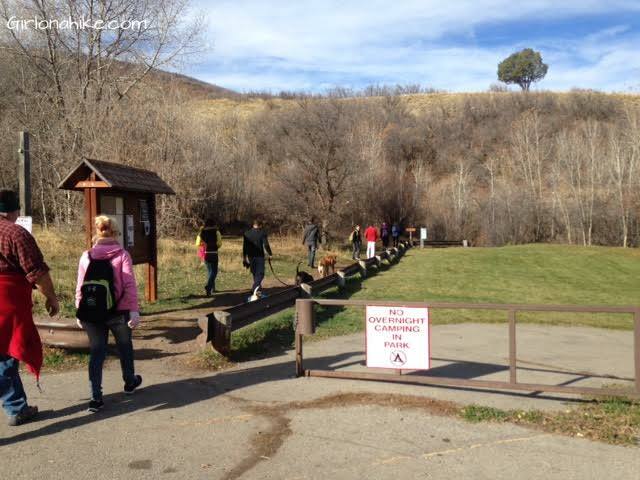 Big Springs Park is located near the top of the South Fork Canyon Road. From SLC, drive south on I-15 and take exit 272 for Orem, and head East (left). 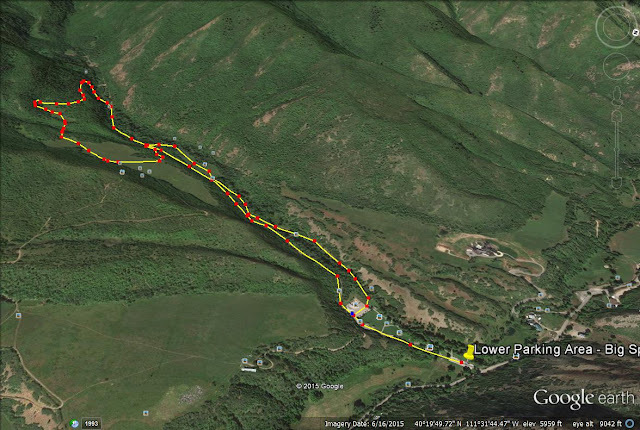 Follow this until you see the split for Sundance & Provo Canyon, and veer left. 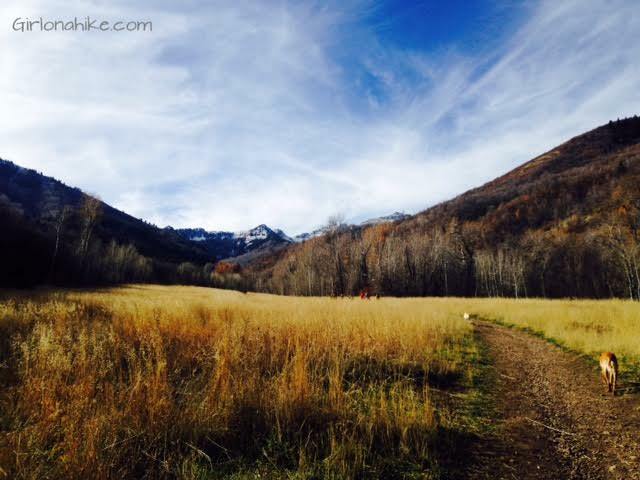 From the mouth of Provo Canyon, continue east to Vivian Park (about 8 miles). Turn right onto South Fork Road and drive 3 miles. 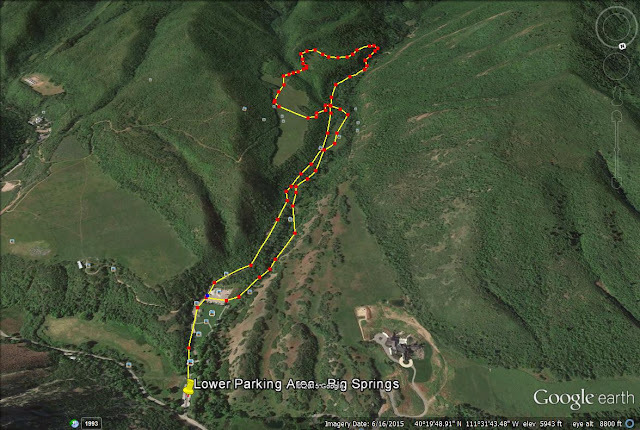 Drive past Vivian Park, past Giles Ranch, past South Fork Park, and past the Conrad Homestead, and turn right into Big Springs Park. There are two parking areas - an upper and lower. The lower is the one you see immediately (see photo below), This is where we parked, but had to walk up the road to the actual TH. If parking is available, continue past the first gate and up to the upper parking area. The TH starts on the west side of this parking lot. Time: My group took just under 2 hours, but it depends on how far you want to go. Dog friendly? Yes. There is a sign that says dogs must be leashed, but we didn't leash ours. 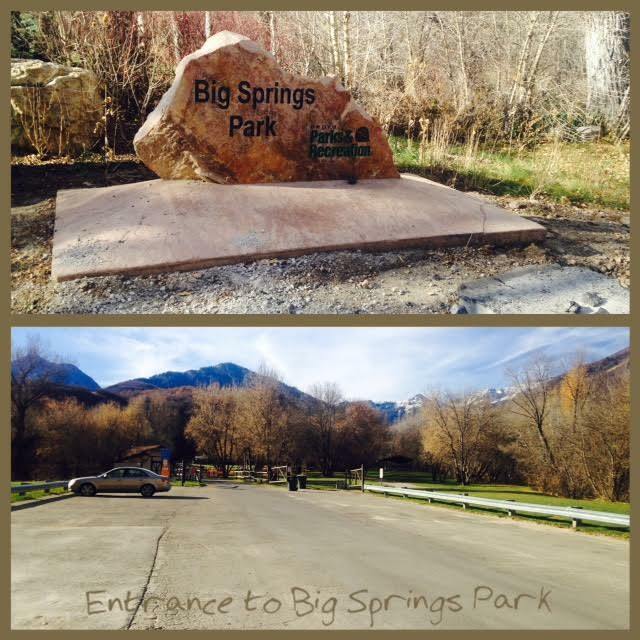 Here is the entrance to Big Springs Park. This is the lower parking lot. You can park here then walk up to the TH, or if the gate is open or the upper lot is empty, you can park up further. This is the actual start of the trail. Apparantely, camping in the park is an issue! Lol! You'll immediately cross a bridge and see the Big Springs Hollow TH. Bonnie dog is ready to run! 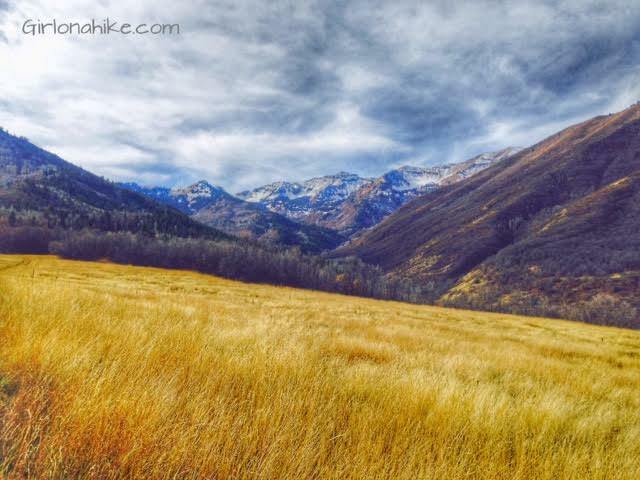 You'll hike through a forested area of Alpine trees then come to the first of many meadows. Off and on, the trail seems to be an old jeep road then a single track trail. At the first split, we went left. However, going right would take you to the same place, which is along the dirt road. Here is the next split, We went left again. 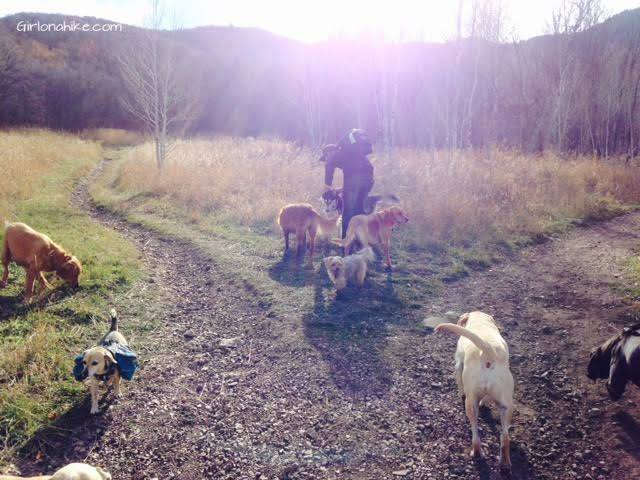 The dogs were pretty happy! For a 3rd time, we came to another split, and again went left. This is how we created our loop. 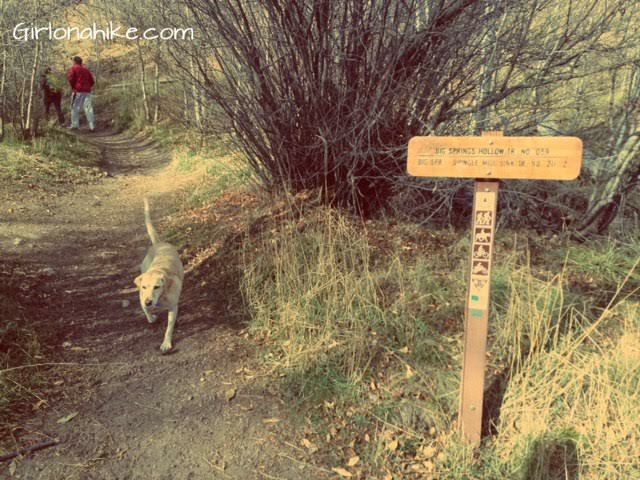 As you hike, you'll see lots of other trails going in all directions. You can make this hike as long or short as you are up for. We came to another beautiful meadow with views of Mt. 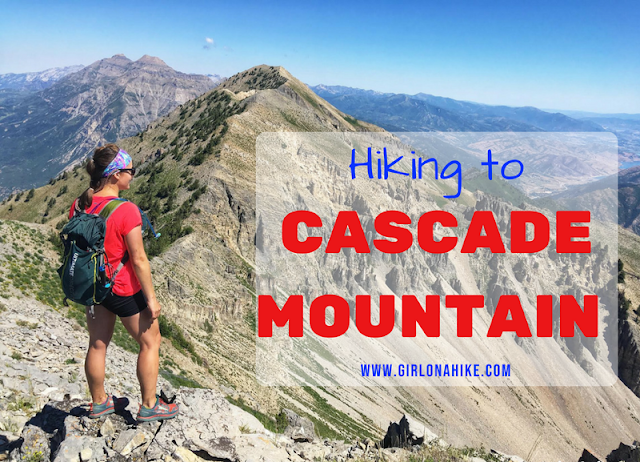 Cascade and the Cascade ridge in the distance, already covered in Snow. Here are two angles of the route we took. Again, you really can hike as long and as far as you want in this area. However, if you are looking for a quick, loop hike the route we took only took us just under 2 hours.